The question is not at what point you're capable of doing your job. The question is at what point you've mastered it. If you want to become wealthy instantly with no effort and no-money-down, stick with lottery tickets. Success takes time. We saw the need to persevere to become the best in the world in The Dip by Seth Godin. 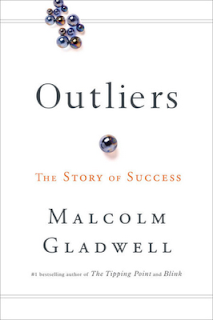 In Outliers, Malcolm Gladwell confirms the importance of mastery and adds other elements --- some beyond our control. Why do a few succeed while most fail? Malcolm explains these statistical "deviants" benefit from their ancestry, their culture and where they live. To this fertile soil add sufficient ability, opportunity and 10,000 hours of deliberate practice. It takes 10 years of extensive practice to excel in anything. Notice that we don't need massive innate talent to start. We just need "enough". We get to the finish line through continuous improvement (what Toyota calls kaizen). you or people you know? While working full-time, I devoted 10 years of study (1984-1994) to emerge as a full-fledged actuary with the requisite technical skills. Then came a decade (1995-2005) of mastering corporate skills (managing staff, leading interdepartmental teams, communicating clearly, planning, scheduling, budgeting, resolving conflicts,...). I'm now working outside the puzzle palace, which requires mastery of people skills such as building rapport, listening and problem solving. Each phase had challenges and risks. And rewards. You or people you know may have paid their dues in similar ways. Paying dues isn't enough. No matter how prepared and driven you are, you need opportunity too. We might be in the wrong place or at the wrong time. Steve Jobs got computer parts from Bill Packard and summer jobs at HP. Do you think that made a difference? My boss left in 1995. This created a huge, high-profile vacancy --- well beyond my capacity as a brand-new actuary. Fortunately, management gave me this opportunity and coaching. Would I have reported to a Senior Vice President so early otherwise? No way. If you've read Blink or The Tipping Point, you'll find that Malcolm uses a similar writing style in Outliers. Each book is very entertaining (especially the audiobooks, which he narrates) and shares ideas for us to think about.